For the first time since the end of March, the ongoing protest on the Israel-Gaza border slipped into a relative lull this weekend drawing the fewest participants to date which led to a low injury rate, no reported deaths and very little media coverage. Relative is the operative word here. There were still dozens of protesters, and Israeli troops fired warning shots, Ha’aretz reports. So far the protest over conditions in Hamas-controlled Gaza under Israeli and Egyptian blockade has left more than one hundred dead and thousands wounded. On Friday morning, tens of thousands of Palestinians gathered near the fence for prayers marking the end of the holy month of Ramadan. Reports indicated that this weekend was poised to be like any other with frequent clashes as Palestinians attempted to breach the fence or fly flaming kites into Israel while being met by Israeli tear gas and bullets. But by midday, the numbers had dwindled to dozens, allowing for a relatively calm day. There was a rumor of a mass incendiary-kite launch scheduled for Friday, a tactic that has yielded high damage to Israel and proven difficult to prevent, but the IDF has taken more proactive steps to prevent the launching of such devices that may have prevented the mass launch. On Sunday, at least twenty fires were ignited in Israel from the devices, and the IDF targeted a car with the alleged organizer of the fire-kite operation inside. Ha’aretz reported that the IDF had no clear indication of why this weekend was less active than those past but hinted that it might have had to do with the simultaneous broadcast of the World Cup soccer games. This weekend’s games included Egypt, Iran, and Morocco, popular teams in the Arab world including Palestinian fans. Additionally, the holiday at the end of Ramadan may have kept people at home. It is certainly premature to declare an end to the now months-long protest camped out at the Gaza border. In fact, on Friday a senior Hamas official declared that Gazans would continue to protest. It is possible that a weekend at home has taken momentum out of the movement, or it could just be a break to reorganize. What is certain is the broader conflict is ongoing. Early Monday morning three rockets were launched from Gaza toward Israel followed by Israeli retaliatory strikes against nine targets. One rocket fell short inside Gaza, and no damage or injuries were reported from the other two, according to the Jerusalem Post. Next weekend’s potential protest turnout will be more telling of the state of the movement. 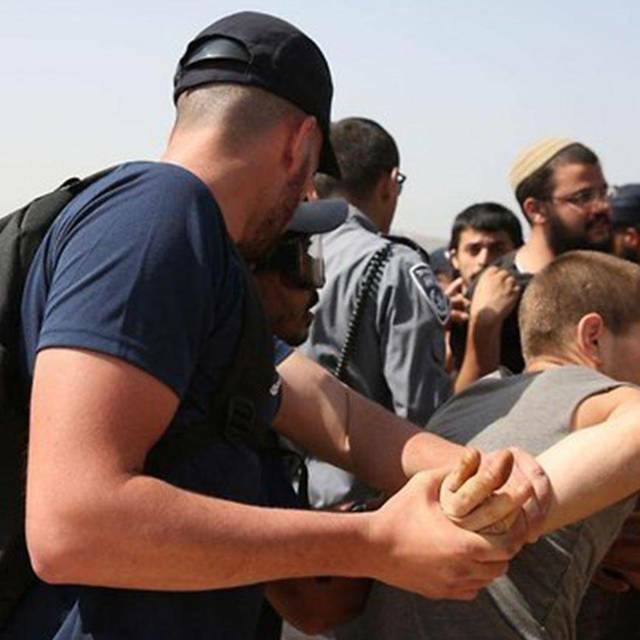 Israeli police officers scuffled with teenagers as they worked to evict Jewish settlers from the Tepuach settlement, which the Israeli Supreme Court deemed was illegal and on Palestinian land. During the eviction and subsequent scuffle, eleven police officers and five settlers were lightly wounded, and six youth were arrested. The Tepuach West settlement, which has existed for nearly twenty years, is in the Samaria settlement of the West Bank and was determined to be illegally constructed on Palestinian land in an Israeli Supreme Court ruling in February 2017. The lawsuit was filed on behalf of residents in the neighboring village who alleged that some of the homes were built on their land and constructed without building permits. The result was an order for about ten of the homes to be demolished by June 2018. Before the demolition of the homes, which were still occupied, Israeli police moved around the settlement on Saturday night and commenced a forced eviction on Sunday. 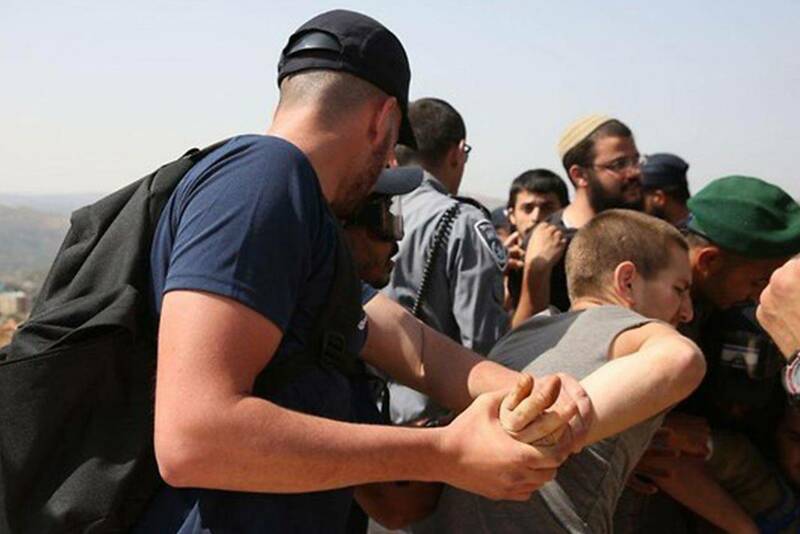 The community hosts only about a dozen families, but dozens of teenagers joined in resisting the police officers according to the Jerusalem Post. Journalists were not allowed at the scene, so residents live-streamed the incident. Ynet news published photos and videos showing settlers resisting the police with sticks, stones, bleach, eggs, and other objects. Ha’aretz reported that after police were deployed at the outpost on Saturday night, the families living in the three units still occupied agreed to pack up their things and leave on their own but that a few dozen extreme right-wing youths also arrived on the scene to protest. By midday the activists and settlers had been removed, and the demolition of some of the homes commenced. This eviction and demolition come a week after a court order demolished fifteen homes in another West Bank outpost. A suicide-bombing in Jerusalem, another bombing in a West Bank settlement and shooting attacks across Israel were all thwarted thanks to a major Shin Bet operation that busted a large Hamas cell. The Israeli Shin Bet security service announced it foiled a large Hamas cell operating inside the West Bank with large-scale plans and capability for terrorist attacks. The cell operated out of Nablus and had about twenty members, according to a Shin Bet statement released on Sunday. The operation to shut them down took place from October 2017 through the end of April as more cell members were arrested. The members had connections to Hamas and histories of terrorist activities but seemed to have bigger connections. The leaders of the cell allegedly plotted their attacks after being in contact with a member of the Al-Nusra front, an al-Queda affiliate in Syria, according to the Jerusalem Post. The Al-Nusra member allegedly offered the cell $100,000 to make a bomb and detonate it near Israelis. In a raid, security forces discovered a cell-phone-operated bomb and raw, explosive materials. Israeli Prime Minister Benjamin Netanyahu said this successful operation is why Israel needs to maintain tight security in the West Bank. The cell operated out of the West Bank city of Nablus, a hotbed of terrorist activity during the Second Intifada.